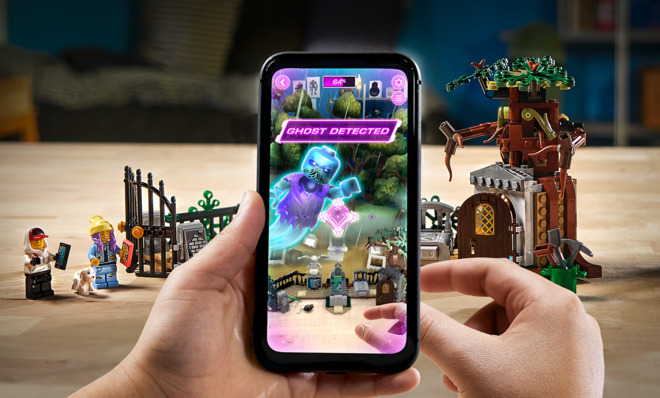 Lego's upcoming Hidden Side playsets will offer ARKit 2 'haunted' gameplay using a companion iPhone app, offering more ways to play. Lego Hidden Side consists of eight "haunted" sets for a number of locations that children can construct, including a school, a house, a bus, and a graveyard. All of the models are set as if they are viewed in the daytime, with no spooky elements on view outside of the AR experience. Using the companion app for iOS, players are then brought into the virtual world of Newbury, which is littered with paranormal mysteries. In the game, players work with the characters Jack and Parker to explore the playset, which is turned into a haunted version with interactive elements. The AR view from the iPhone can bring models to life when the camera is brought nearby, or if items are triggered within the app's image. "Points of possession" can release virtual ghosts that can be caught within the AR game to stop the haunting of the playset, and to slowly reclaim the town from the specters. The interactivity won't be limited to just tapping elements in the AR view, as Lego advises some gameplay will require one hand on the iPhone and another to move parts of the real-world models in order to progress. Lego Hidden Side playsets will be released globally in the late summer. The Lego Hidden Side companion app will be a free download from the App Store. 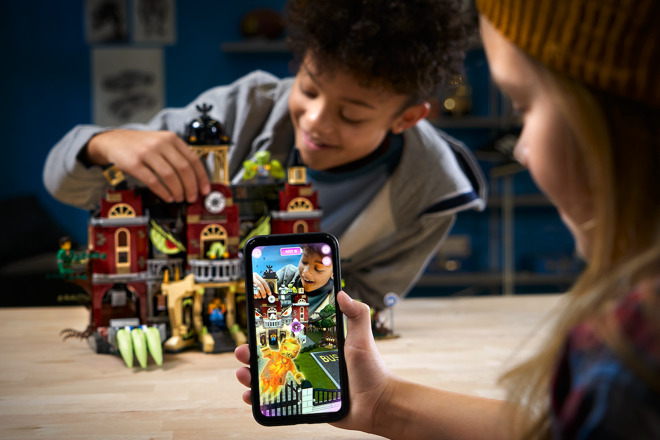 Lego has considerable experience in producing apps connected with its products, and this is not the first time it has dabbled with augmented reality. Lego AR-Studio mixes physical models with ARKit-based animations and activities, with users able to control the interactive elements within the app itself. It's a novel idea, but a phone is the wrong device. Glasses will change a lot, once Apple provides those. No kid is going to play with Lego - which is about construction, fantasy, creating stories in their minds, away from digital media - and then holding a stupid phone in front of their creations to see animations. It makes absolutely no sense and it's not the right use-case for AR, unless it's experienced using a wearable.